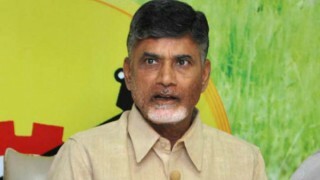 AP CM Chandrababu said that the opposition parties in the state were creating sang as they were jealous of development in the state under the TDP rule. Under TDP government Andhra Pradesh is making development more than other states. With the perception to move ahead the state is attracting huge investments for industrial furtherance and to provide better employment opportunities, Chief Minister told TDP workers while interacting with them in video conferencing. According reports by Information and Public Relations Department, Chandra Babu told his party workers that the state government successfully conducted CII Summit, where MoUs for investment of about INR 4.71 Lakh Crores. And the state government also convinced many multinational companies in World Economic Forum at Davos to startup their units in the state. Naidu asked his party workers to explain the people about facts on both the success of the TDP Government in many areas and the role of opposition in buckle development edge.